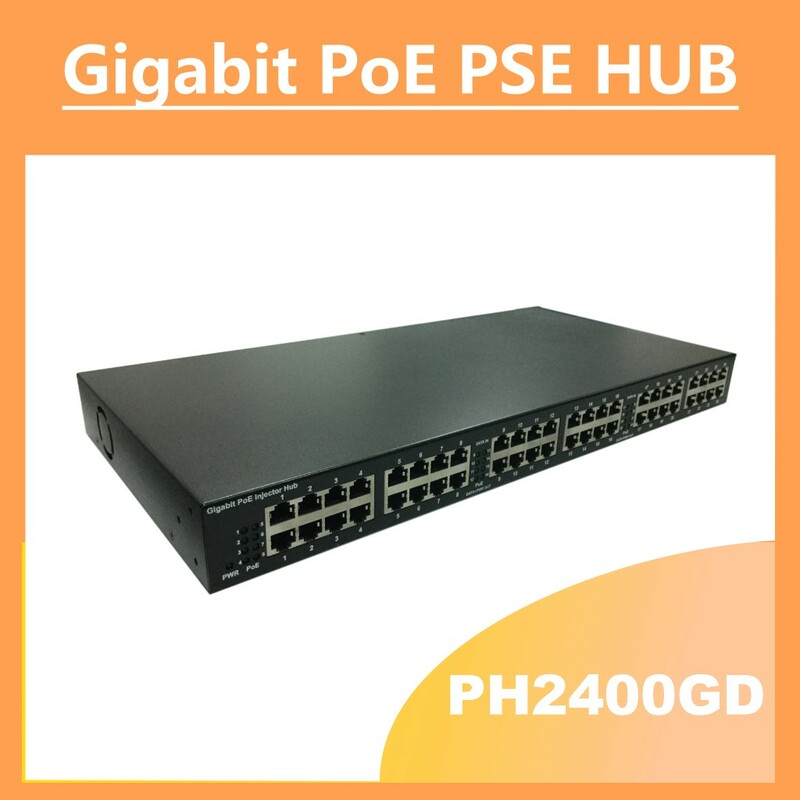 PH2400GD series features 24-port IEEE 802.3af and IEEE 802.3at High Power PoE injecting power output of up to 30w over Cat.5/5e/6/7 Ethernet cable. It is designed to extend the installed non-PoE managed switches with PoE enabled feature and with wide range of power capacity from 250/380/500/630/720W for PoE power budget. 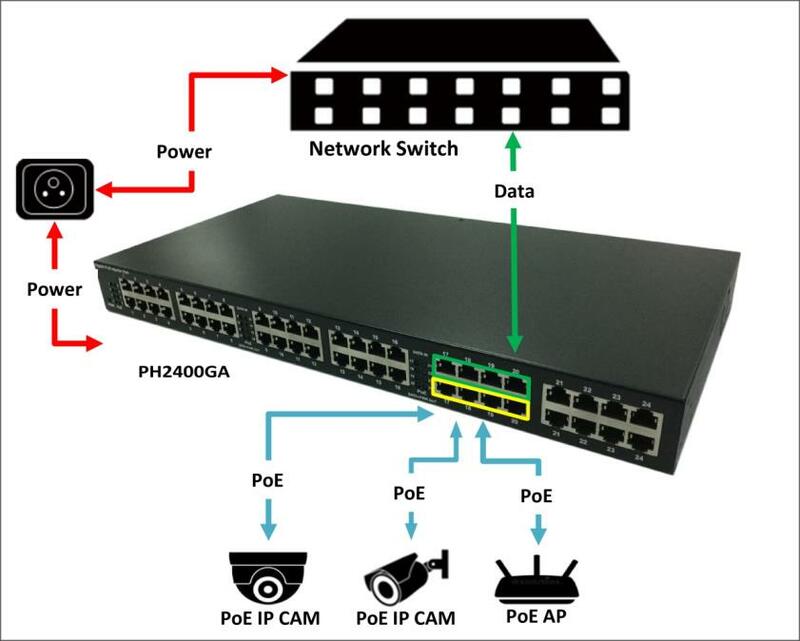 Additionally, PH2400GD is designed specifically to satisfy the growing demand of higher power consuming networking application such as video surveillance, wireless Access Points and no configuration is required. If outdoor application is applied, it is recommended with embedded 6KV PoE Surge Protection (PH2400GD-6KV) on each PoE port to prevent surge impact and damage the whole system incidentally.